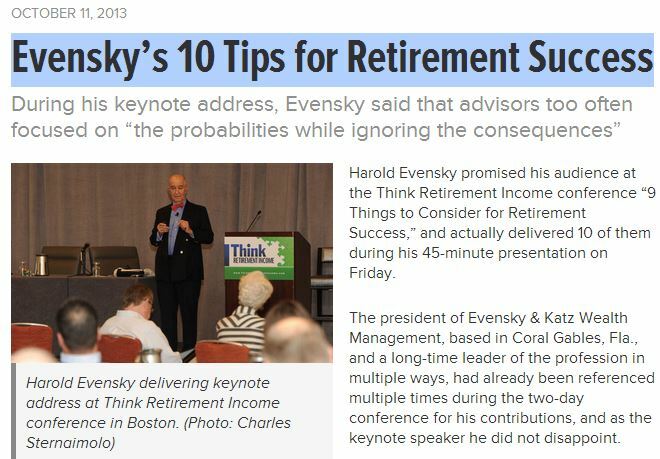 “What must you earn above the pricing interest rate to justify not annuitizing?” Evensky asked, answering his own question with a chart illustrating that retirees from age 55 to 100 must earn considerably more. He also suggested using a reverse mortgage as a backup for clients’ one-year cash flow reserve, instead of a home equity line of credit. “Unlike a HELOC, a reverse mortgage can’t be taken away” by the lender, he pointed out.